Every parent has their own, authentic experiences with their teens—some good, some bad. But of course, there are also many incidents with teenagers that are universal for all parents. Every day you find out you are just not cool. Even though you are not cool at all, your shoes, bags and skin care products are always missing. You can no longer help them with their math homework. Before you can ask, “How was your day?”—The person that just got in the passenger’s seat has headphones on. You have in-home tech support for computers and iPhones. You have to check Instagram to find out what really happened at last night’s party. Your kid can tuck you in because he stays up WAY later than you. The same kid (that used to wake you up crying at 5 am) now sleeps until 12 noon on the weekend. The fridge is empty and you went food shopping yesterday. A compliment from your child on your outfit or new haircut feels like you won a Nobel Prize. Instead of being asked for a ride, your being asked for your keys. You sleep with one eye open waiting for the key in the door that lets you know they have arrived home safely. You are asked not to dance in public. The dirty clothes hamper is always overflowing. Your eyes well up and your heart hurts thinking about your teen leaving for college and not sleeping in their bed every night. Randi Mazzella is a freelance writer and blogger. 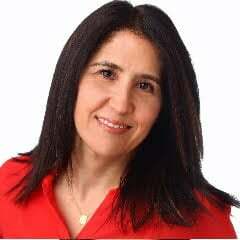 Her work has appeared in many print and online publications including Grown and Flown, New Jersey Family, Scary Mommy, Parent.co and The Spruce. Follow her on Twitter @rmazz90210.